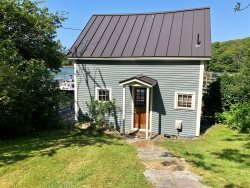 Charming, newly remodeled cottage overlooking working waterfront. This Sounds Great, What Is My Next Step? Please click HERE to fill out your information so we can contact you to begin the process! We will send you a contract to sign along with an owner information sheet. Go through our rental ready checklist to get your home prepared for pictures and guests. Schedule your regular maintenance items over the winter to ensure they get done in early spring – septic pumping, window cleaning, carpet cleaning, chimney sweeps, furnace tune-ups, and tune-ups for any appliances that uses propane. These items need regular testing and cleaning to keep them running safely and efficiently. Periodic water testing is also necessary, but should be done early spring before the rental season begins. Thank you for considering Your Island Connection, LLC as your Vacation Rental Professionals, we look forward to working with you. If you have any questions, please don’t hesitate to contact us!